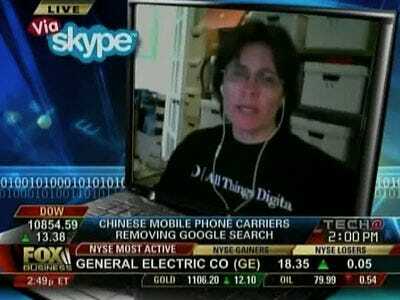 Kara Swisher of News Corp.’s All Things Digital went on News Corp.’s Fox Business Network to talk about Google today. She did the interview over Skype, so naturally, she was talking out of a laptop. Cool!